These labels are all about cost savings and convenience. 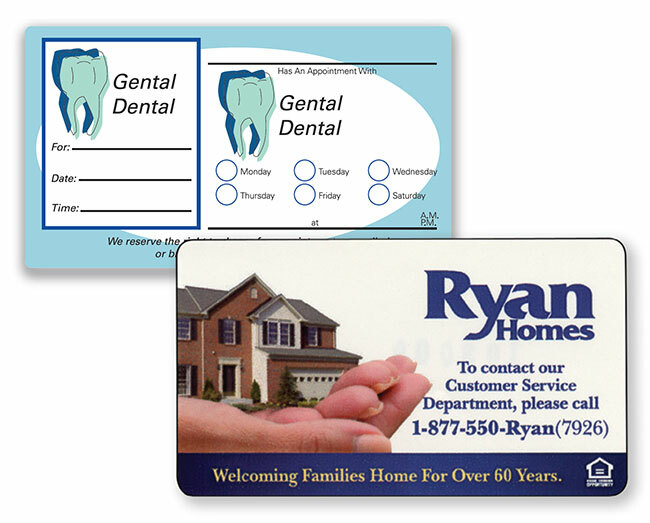 Use the business card size to affix new and/or added info onto existing business cards, which saves on reproduction expenses. They’re also ideal for promoting special events/offers on existing business cards. The appointment labels augment electronic communication to give customers a convenient reminder they can affix to calendars, bulletin boards, etc.